We understand that the cost of truck driving school can be a significant undertaking for anyone, but our goal is to make sure it remains manageable for you. To that end, we offer the best truck driving program with affordable tuition, plus we offer financing plans for those who qualify. If you took the time to compare all of the different career training options available then you would find out that becoming a professional truck driver would have the best financial return on your investment. With a short training period and affordable tuition, professional truck driving is clearly a smart career choice for folks who want a good, steady income. There is no unemployment in the trucking industry right now. Demand for professional, qualified drivers is at an all-time high. You can get a great education at CDL Pros Truck Driving School that won’t create financial hardship for you and your family. 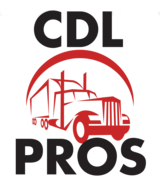 CDL Pros offers MORE PAYMENT OPTIONS than any other truck driving school around! Of course, we accept checks, cash, money orders, bank wire transfers, ACH debit transactions, and even convenient Western Union, but we also offer financing options. In short, we have a payment plan for practically any circumstance, so when you’re ready to train for a professional career as a truck driver, then give us a call. 816-918-5620. For updated tuition costs, please call our office at 816-918-5620.